You Are Here: Home » Mindset » Why a blog about Guerrilla Project Management? Why a blog about Guerrilla Project Management? It has taken me months to finally decide to publish my first blog post. I thought long and hard about what I wanted this blog to be about. I knew from the start that I wanted it to be about my passion for project management but I wasn’t clear on what kind of topics I wanted to discuss. There are already hundreds of great blogs out there about project management and I wondered if the world really needed another one. Then I realized that that what I actually want this blog to be is a conversation with other project managers like you around practical strategies and tactics based on experience from the front line trenches of real world projects. If you are anything like most project managers I know, you are committed to getting better at whatever you do, ambitious, and extremely hard working. If you are a new project manager, you have done your work and studied the principles of good project management. You try to follow established methodologies and/or you just do your own blend of different things. Somehow, though, you find that it is a struggle to get projects done just relying on standard project management processes and methodologies. If you have been doing this stuff for quite some time, then you have figured out which rules to follow and which ones to break. You also have gathered a body of knowledge based on experimenting with different tactics and figured what actually works and what does not. Whatever your background and level of experience, you have probably experienced that most standard project management processes, we have been taught, do not survive contact with reality. 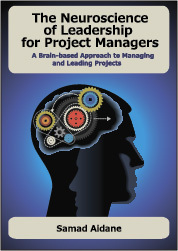 To lead projects, we have to master the art of managing the human dynamics of projects. How do we handle politics and conflict on our projects with limited or no authority? How do we confront issues and people without burning bridges? How do we lead others when we are facing our own fears, lack of confidence, and self doubt? How do we handle stress and anxiety? Project management can be dangerous work. The more you lead the more you have to challenge the expectations of the people you are supposed to be serving. Disappointing them can be dangerous for your career. The more powerful they are, the more dangerous they can be to you. Project management can feel like a lonely job. It is extremely hard to maintain friendship with the people you work with, if you have to hold them accountable, confront, and sometime disappoint them. Project management can seems at times like a thankless and unappreciated job. The best thing you can hope for sometimes is that your team says you “got out of their way” or that you “were not bad to work with”. So how do you pull “it” off? How to do you keep going and where do you find the motivation, strength, and mental and emotional resilience to not only survive but thrive? These are the topics I am passionate and driven to learn more about. I hope you take some time to browse and hang out with me on this blog. I also hope you will find here something you can use or find interesting. If you do and would like to join the conversation, please do not hesitate to write a comment or email me (see “about” page) if you would like to contribute a blog post.